• Was born 2293 years ago and lived from 287 BCE - 212 BCE. Was also a native of Syracuse, Sicily. 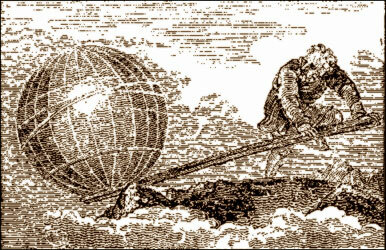 • Archimedes, was an influential mathematician of his time. • His methods anticipated calculus 2000 years before Newton or Leibniz revolutionized it. His contributions revolutionized Geometry with his ideas and concepts. • Ran through the streets naked yelling "Eureka" I've solved it. 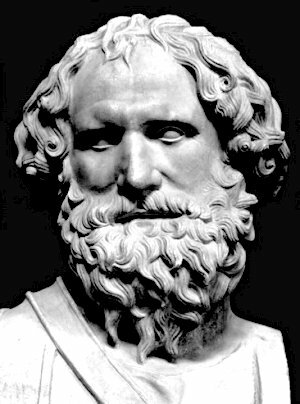 • Archimedes invented many important things such as pulley system which is one of the most important inventions of all time, and a descendant of the common day pump called the Archimedean screw pumping device. This device is still used in many parts of the world. • He perfected a method to help him find areas, volumes, surface areas and also gave an accurate answer to π. 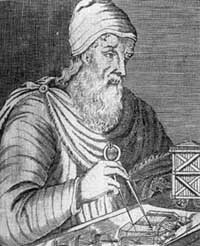 What did Archimedes contribute to his field? A great Play by the name of "Hercules"
A great scientific theory called the "Theory of Gravity"
A great painting called "Pericles at his finest"
What is Archimedes known for yelling as he ran through the streets?